In Beijing on June 5 1989 the army were in control of the streets. Martial Law had been declared over two weeks prior following a sustained period of student demonstrations. In the previous 48 hours clashes between the Army and workers, citizens and students, had been extremely violent; many people were dead or injured on both sides. The focus of the demonstrations was Tiananmen Square in the heart of the city. This had been occupied by thousands upon thousands of students, many staging a hunger strike, but was now filled with tanks and troops. There were still sporadic clashes between the army and the people, tensions were high, shots were ringing out and many were taking cover wherever they could. 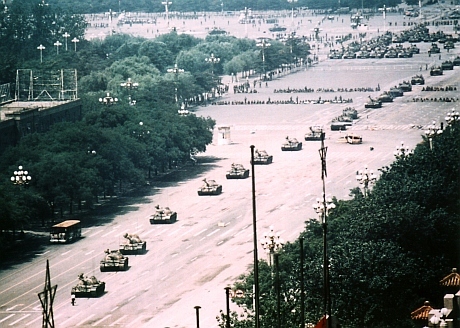 In the early afternoon a line of tanks set off from Tiananmen Square and moved east along Chang’an Avenue; there was at least 19 in the column. Not far from the Beijing Hotel, one man walked out into the middle of the street and brought the tanks to a halt. Refusing to let the tanks past, this man’s actions were captured for the world to see and his defiance in the face of overwhelming force became one of the iconic images of the 20th Century. The concept of this soundscape is to tell the story of Tank Man within the historical context of the weeks of protests that come before his moment of defiance. This includes confusion and mixed messages shared within both political and intellectual classes plus bloodshed amongst the people and the army. 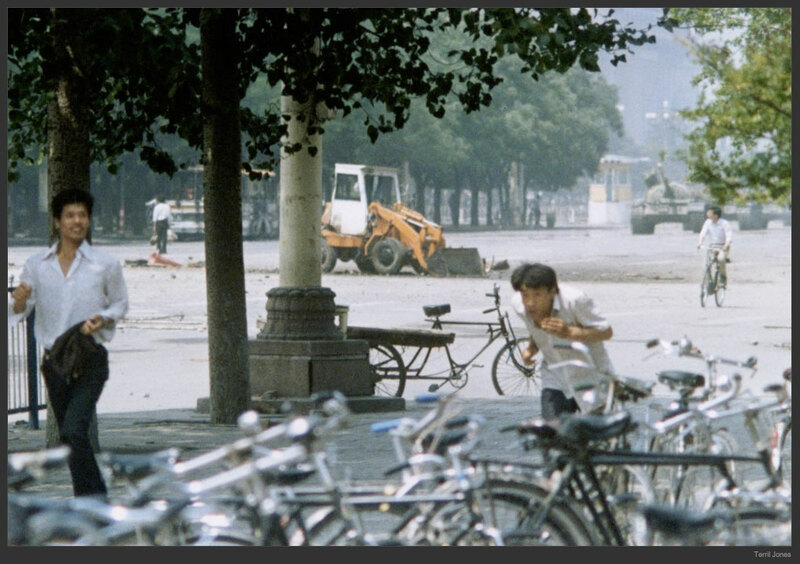 It will also include the Tank Man’s seemingly nonchalant manner of approach towards a column of tanks, the confrontation and him being pushed to the side, never to be heard of again.